Home > Children's Apparel > Children's "Kings and Queens"
This is our signature Feeding The Orphans t-shirt. This shirt started it all when little Sydney asked, "Why should we eat like kings and queens when they have nothing?". By wearing this shirt, you become an advocate for orphans and widows around the world, plus each purchase goes to support them. 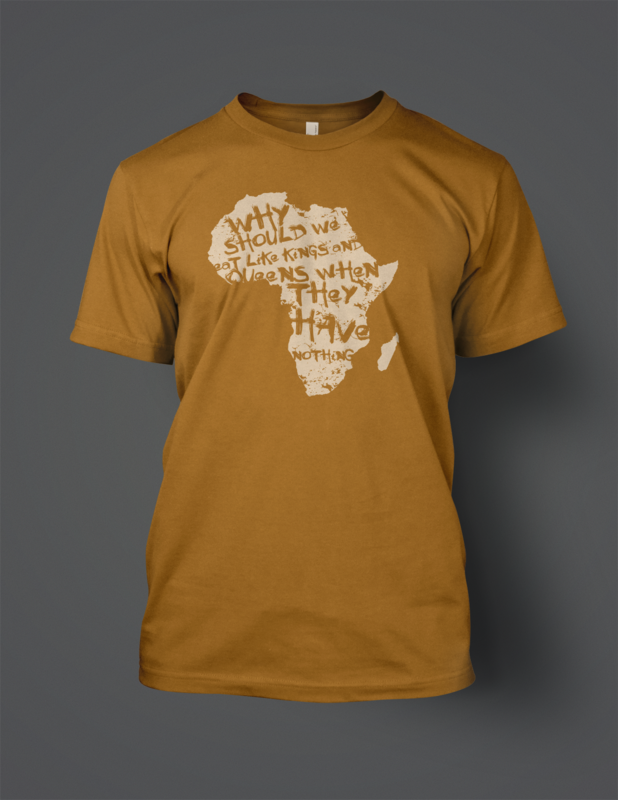 These shirts are fair trade certified and produced in the country of Haiti.